Joongbu U Cat City: The end is near! Dec 18-22: Final Exams and Crying! Speaking classes: I need a form for every presentation you did. Forms can be very simple - Homework title, Homework number (1,2 or 3), Your name, student number, your class number and a space for your grade. Speaking: When were you sick or sore? What did you do to feel better? To help it heal, the doctor made me put my hand in hot wax for ten minutes a day. I was a speed swimmer and tried to keep swimming even with a sore hand. It hurt a lot. 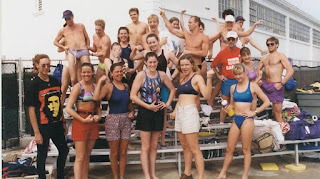 That was me at Christmas Swim Training Camp, 1987-88. I could barely swim. My hand hurt and my shoulder did, too. 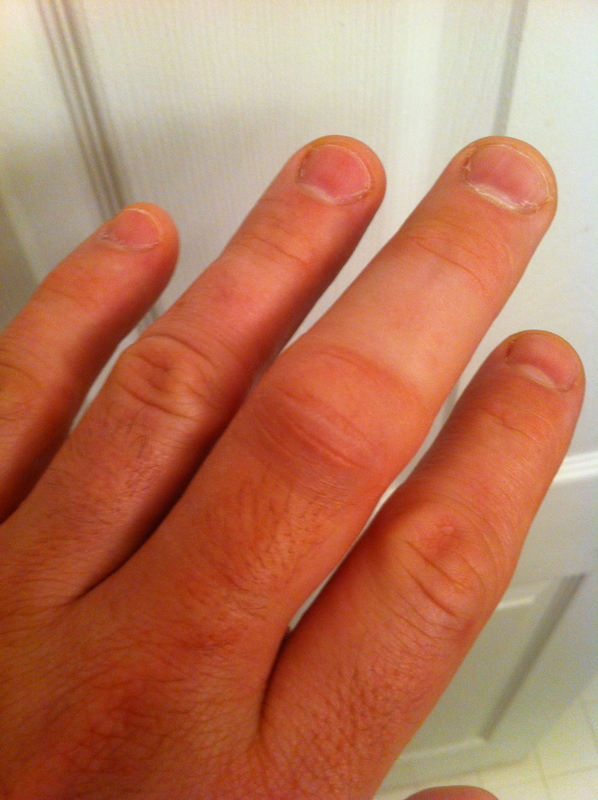 After a few weeks, my hand recovered. Writing: Write 5-10 sentences about a time you were sick or sore. What was wrong? How did you treat the problem? Your answer will be taped to the wall for others to comment on. In 2008, I had Bell's Palsy (종 마비). The right side of my face was paralyzed. I had trouble eating because I couldn't close that side of my mouth. I could not pronounce 'P'. I had trouble teaching. I went to a hospital and was given a lot of pills. I also went to a Oriental doctor (한의원) and had needles stuck in my face. Some of the needles were electrified and my face jerked and jolted. Two weeks later, I regained full control of my face and could speak normally again. Speaking: What talent do you have Or what great achievement have you managed? Speak for 90 seconds, 1~4 images, No script- 10 keywords okay. Use some body language. If you can, give us an example. Your examples could be: singing, dancing, fitness, game score, artwork, cooking, penmanship, sports skill, ... This should be a fun ending to class! Writing: Write 5-10 sentences about a talent you have.